I’m kidding, of course. Smith, as rabid a Star Wars fan as you’ll ever find, brought back several tidbits from his travels to the film’s London set, and they’re all overwhelmingly positive – including how he witnessed a performance that drove him to tears. Watch him recount his visit in a video below. — "I wept on set…"
Smith says he saw two scenes being filmed, one of which was “absolutely amazing,” and says he overheard plot details while he was there – but of course, he couldn’t reveal what those details might be. Since we’re legally bound by Internet Law to speculate about every single element of Star Wars news, no matter how small or seemingly insignificant, let’s talk about which actor may have driven Smith to tears on the set. Could it have been Mark Hamill? Does his Force ghost get a powerful close-up moment that could have sent Smith over the edge? It doesn’t seem likely that it was any of the younger cast members, because their careers are still relatively fresh. If I were to bet money on this, I’d put all of my chips on Billy Dee Williams, who will reprise his role as Lando Calrissian. Audiences haven’t seen Williams as the live-action Lando since 1983’s Return of the Jedi, so it makes sense that Smith might get caught up in the emotion of seeing him return. Smith always has exceptionally nice things to say about the productions he visits, so keep that in mind when digesting his comments here. He also visited the set of The Force Awakens and admitted to breaking down into tears on that set as well, and StarWarsUnderworld reminds us that Smith actually lent his voice to one of the Stormtroopers during post-production on that movie. 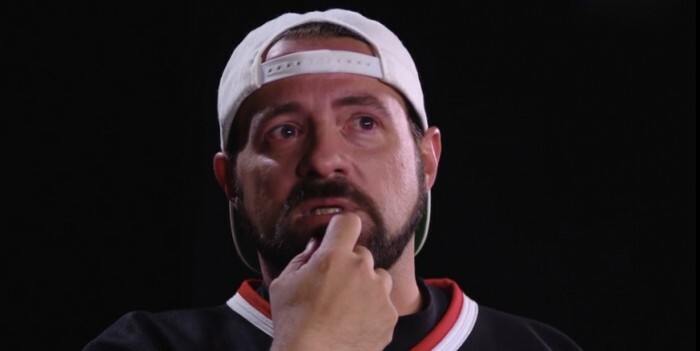 The post Kevin Smith Raves About His Experience Visiting ‘Star Wars: Episode IX’ Set, Singles Out One Amazing Performance appeared first on /Film. April 14, 2017 at 5:30 PM Will the Skywalker Saga Will Extend Past ‘Star Wars: Episode 9’?